to the BioMedicine and Surgery. It is an international, double-blinded peer-reviewed journal in English published quarterly. BioMedicine and Surgery provides rapid publication of articles in all areas of medical, surgical and public health sciences. BioMedicine and Surgery will cater to needs of all those researchers and academicians looking forward to contribute through their knowledge, skills and abilities in their respective fields. BioMedicine and Surgery is a publication model that enables wide and rapid dissemination of research articles to the global community without restriction. Thus, all articles published under open access can be accessed by anyone with internet connection. 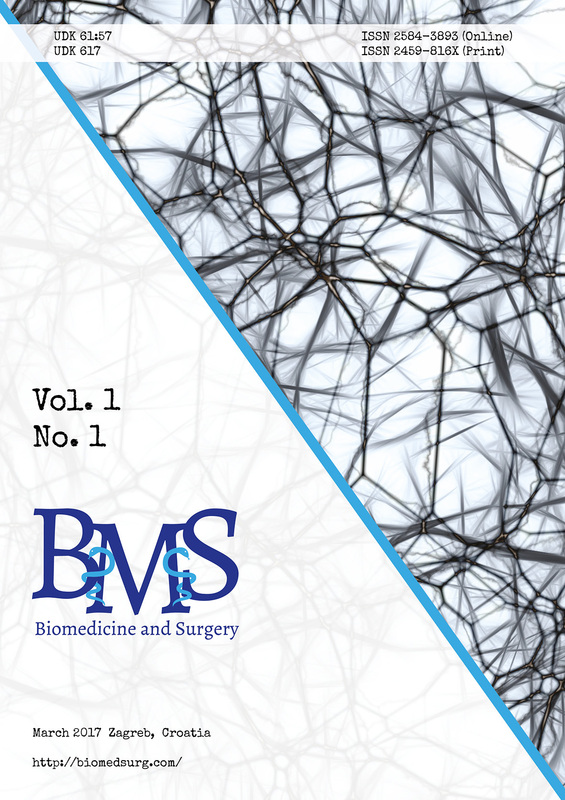 BioMedicine and Surgery is an open access journal which means that all content is freely available without charge to the user or his/her institution. Users are allowed to read, download, copy, distribute, print, search, or link to the full text of the articles, or use them for any other lawful purpose, without asking prior permission from the publisher or the author. This is in accordance with the BOAI definition of open access. Articles in BioMedicine and Surgery are published under Creative Commons Attribution-NonCommercial-NoDerivatives 4.0 International license. Full text of Attribution-NonCommercial-NoDerivatives 4.0 International license can be viewed at https://creativecommons.org/licenses/by-nc-nd/4.0/legalcode. Publication in BioMedicine and Surgery is completely free! There are no article processing charges (APCs), submission charges, page charges, color charges or any other instance where money is required to complete the publication process. The Journal will bring together leading researchers, clinicians and scientists in the domain of interest from around the world. The Journal aims at publishing evidence-based, scientifically written articles from different disciplines of medical, surgical and public health sciences. The Journal welcomes articles of general interest to audiences of medical researchers especially when they contain new information. Articles of clinical evaluation of drugs and other therapies, epidemiology studies in general population, studies on pathogenic organisms and toxic materials, toxicities and adverse effects of therapeutics are welcome.